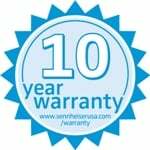 Shop Sennheiser e604 Evolution Dynamic Drum Microphone from AMS with 0% Interest Payment Plans and Free Shipping. 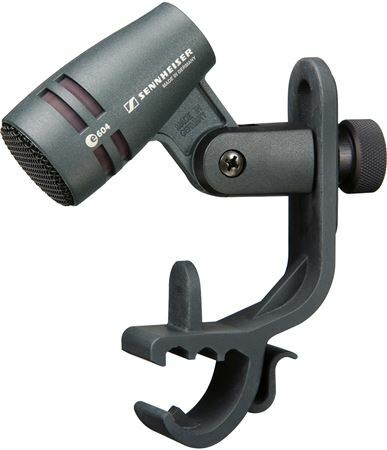 The Sennheiser e604 Dynamic Drum Microphone is a superb drum and brass mic. 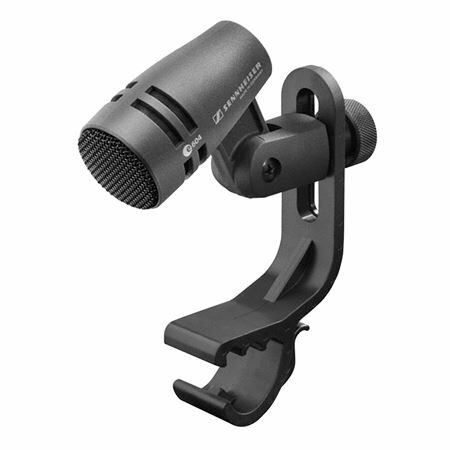 The built-in stand mount and included clip make them the perfect solution for close-miking providing low visibility. The frequency response (40Hz - 18kHz) and cardioid pattern of the e604 are optimized for drum sets and other percussion instruments. The Sennheiser e604 mic also produces exceptional results on all brass and woodwind instruments. A very high SPL rating of greater than 160dB is combined with a lightweight voice coil to provide the type of frequency response and clear, low distortion signal similar to high-end studio condenser mics. A carry pouch is also included. The evolution series from Sennheiser marks the beginning of a standard in sound for live performance. Evolution offers every artist a microphone with the sound quality and features to match their individual musical style. Exceptionally rugged construction and component quality – plus a price range that makes the entire evolution series outstanding value for money. Space saving, compact drum and brass microphone. Ideal for low visibility, close miking techniques. The frequency response and cardioid pick-up pattern are optimised for drum sets and other percussion instrument miking, whilst also producing exceptional results on all forms of brass and woodwind. An integral stand mount screws directly onto mic stands and included clip attaches mic to rim of drum. Very high sound pressure level handling, in excess of 160dB, is combined with a balanced, clear, low distortion signal similar to a high-end studio condensor microphone. Lightweight voice coil provides extended high frequency and rapid transient response. A tough reinforced glass fibre body takes the knocks and shocks and suppresses impact noise. I love using the 604's for both snare and tom applications. I own a Production Company with multiple crews and all my mic kits have a set of three e604's or e904's. 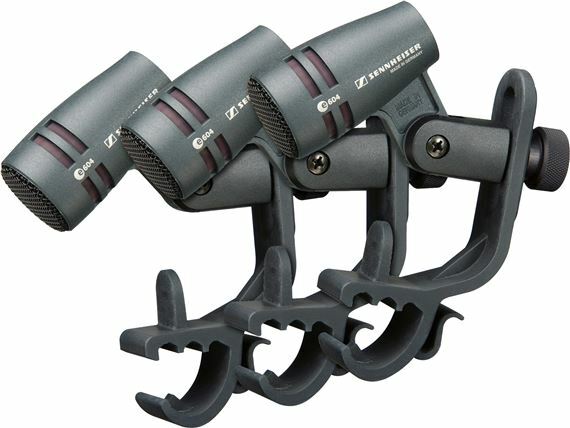 These are awesome for micing tom's and snare. They clip onto all standard hoops and even some conga's. They're compact so they out of the drummers strike zone. They are tough so they can handle a hit or two and still sound great. As its being used as a snare mic, I've smacked it quite a few times in 3 weeks and it still works fine. Was a little put off by the plastic mount, but its fine. Nice knurled adjustment knob. sounds great, and the shell mounting clip is nice and simple. I'm still learning, but its super easy to mount. Really easy to adjust the angle and therefore the sound you get. manual was actually helpful too. Sounds great. Not that theres a great drummer that it's recording, but I really like the snare sound this mic gives with little adjustment. easy to find the sound your looking for and it has good rejection of bleed through. the product is great, except the fact that i never got my mics in a box and no manuals. i had some problems with american music supply on this one. I use this mic for a djembe, and it works perfectly. I would love to have more, but I find the cost a bit high. Still, it's an excellent sounding mic, capturing both high and low end of my playing. Good choice for recording live stuff. NOTE: The Audix D-Clamp and D-Vice mounting clamps are wonderful for mounting the E604 mics.